Australia is experiencing a series of extreme weather events this year; from fires to flooding and some seriously extreme heat, the country has been hit by one event after another. Experts are saying that it all points to one cause: climate change. And as the planet continues to warm, scientists expect events of this nature to increase, both in severity and frequency. 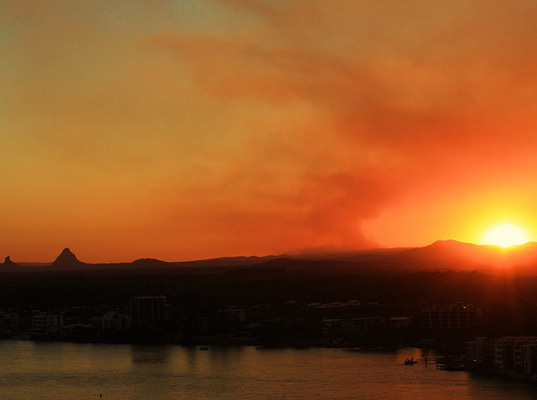 It started with bush fires, which broke out in the Queensland and New South Wales area of Australia. 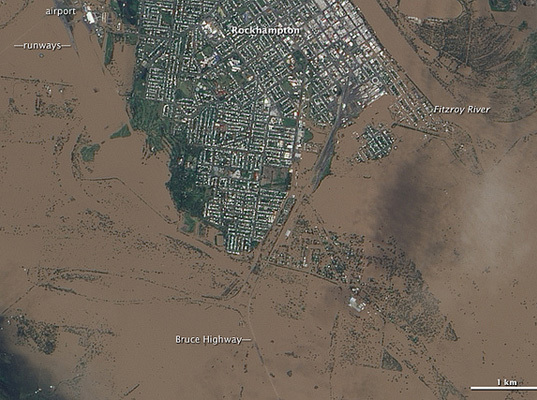 After two weeks of burning, tropical cyclone Oswald, which dumped massive amounts of rain on the east coast of Australia, resulted in some of the worst flooding in the area’s history. Between the floods and fires, four people have died and over 7,500 people have been evacuated from their homes. Experts point out that these events are consistent with climate change and that in areas like Australia, increased heat and increased rainfall are to be expected. “The frequency of more intense events is going to increase. Droughts, heatwaves and – in northern Australia – rainfall events and tropical cyclones are going to be more intense,” says Jon Nott of James Cook University. It all adds up to a tricky situation that doesn’t have any easy answers.